If you have a stairway in your home there are many ways in which you can utilise the space above or below it to add character and space to your home. That said, stairways are often rather dark areas, so they should have specific lighting either on the stairs or the wall to ensure you don’t overbalance and fall. A qualified electrician can do this work for you and give you advice on where the best place is to install the lighting. 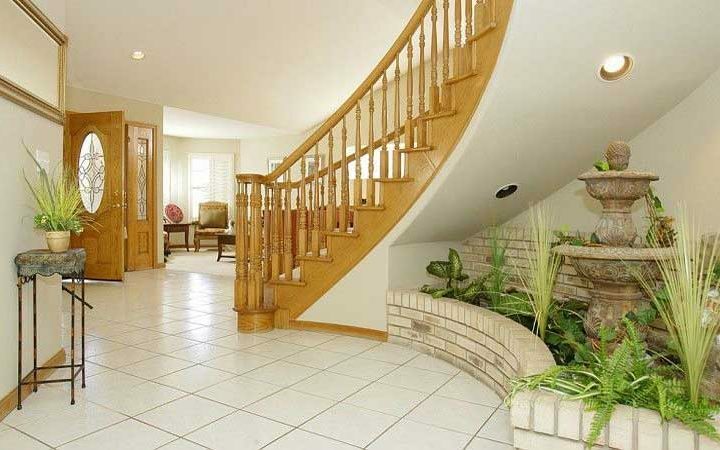 So how can you use the space around a stairway? 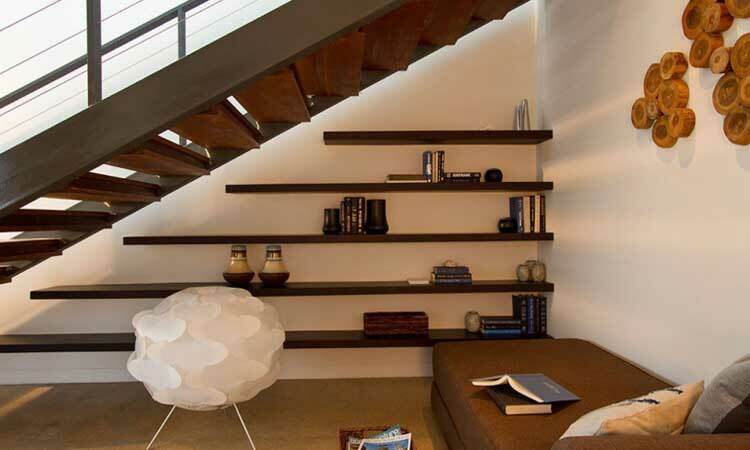 Use the wall where the stairs go up to hang a family album of photos or several beautiful landscapes. Make sure the frames all have something in common such as toning colours, but they don’t all have to be the same shape or size. You can have round, square rectangular or oval shapes to break things up a bit. For a really modern look, you could have all the frames the same colour and paint the landing and/or stair rail to match. Try bright green, red or yellow for some eye popping fun. Match the colour with some other nearby accessories such as a table lamp or rug. If you are not into photo displays you can create visual interest and a most elegant look by displaying a wall of mirrors with gold and silver frames. These can be found at op-shops or flea markets and you can spray on the gold paint yourself. An electrician can install pendant lighting to match. Replace the plain banisters with a filigree of wrought iron lacework to lighten up the area and make it really eye-catching and decorative.